AFRICAN WEDDINGS and their accompanying African wedding photos are a special community and family affair that are as diverse and colourful as the continent itself. The weddings tend to reflect some of the cultural practices of the oldest civilisation on earth. 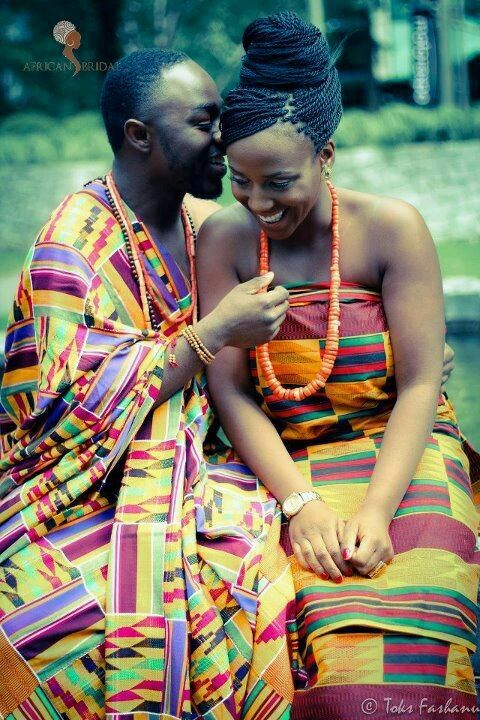 The thousands of ethnic groups that span the continent have their own marriage and wedding traditions. Religion, especially Islam and Christianity have in the past few decades influenced African weddings, but in most parts the wedding ceremonies that have been in existence for millenia still exist. Depending on which part of Africa you are from, weddings can be extremely elaborate and ceremonies can last for days. In most parts of Africa the groom must pay a dowry. Nothing quite captures the uniqueness of a typical African wedding as colourful African wedding photos. Below are a few that will provide you with a sense of what costumes brides and grooms don on to celebrate their big day. ← The Sunshine Award for Café Africa!